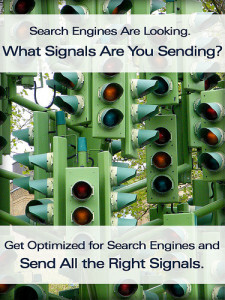 In his article “7 Tips For Optimizing Your Blog,” Ryan Shaffer advises, “[R]egister your blog, so that it can be indexed more easily and ranked higher.” At SixEstate, we have found it to be true; registering your company website or blog with online directories and blog-specific search engines often results in considerably higher online visibility. Registering your company website can be an elaborate, time-consuming process, and some specialized and local directories require you to provide detailed contact as well as company information, down to its size and product description. Then — in particular if the listing is free — it can take up to three months to get it approved. Social bookmarking sites such as Digg, StumbleUpon and Del.icio.us are also useful in increasing your blog’s visibility, and perhaps deserve their own post here on the Newsblogger. Another way to increase your online visibility, linking to sites, has increasingly become a spammy nuisance. If you aren’t ready to offer a linkback, your link request will either fall on deaf ears (in the best-case scenario), or will annoy and even offend the site owner you’re reaching out to. However, to register your blog (we’ll talk about website registration in another post sometime), you only need to provide a few details and have updated content. Account validation and listing maintenance beyond the initial registration are minimal and the approval process is an easy one. The sites we look for are general interest, offer a free registration and no-reciprocal-linking options, and have a reasonable approval process. A few directories don’t require having an account — you just submit the URL of your blog. Most, however, do, and those are the preferable ones. That way, you can update your listing, monitor approval process, and get notified if the directory owner, say, spotlights or removes your listing (Blogville, for instance, puts its “Editor’s Choice” picks front and center). Also, very few directories would post your listing immediately, but then, again, if they don’t discriminate, your listing is likely to get lost in a sea of spam. * Open an account: Create logins, username and password, submit contact email and your blog’s URL. * Receive a verification email from the site’s webmaster (often a link you need to click on). * Complete registration after verifying your account by submitting all the info necessary for the listing. * Wait. Approval takes from a few hours to several months. If the listing is free, and you don’t reciprocate by linking to the site, you’re on the bottom of the barrel. It’s not a bad thing, it just takes longer. * Get approval or rejection notification via email. Sometimes you might get a request to edit your listing before approval. * Go to the directories you’ve registered at and search for your listing. Even better, log in to your account occasionally and monitor the listing’s approval progress. Not all directories send approval or rejection notifications, but you might get a note on your account profile that the listing is still pending, or needs an adjustment, etc. * Your blog’s location: URL/RSS feed/Twitter stream (the latter is optional, but more and more directories have a field for it). Some sites, like Technorati and Blog Flux, require submitting your URL feed to open an account and verify and claim blog ownership. Blog Burst is RSS-based, the feed must be detected and verified before allowing submission. For others, like LS Blogs, it’s optional. * Contact name, email address, phone number, city and state (often all optional except for email address). * Logins: username and password (username is often your email address). * 50-, 25- and 10-word descriptions of your blog. You will end up using the 25-word description most often. * Keywords or key phrases (5 to 10). * Suggested categories for cataloging and indexing. Most directories have inflexible categories, but it helps to think about that in advance, and sometimes you can also suggest your own category. * Don’t resubmit your listing unless prompted. Many directories will delete multiple entries. * Rate your own blog, if possible, to help elevate your rank. * Submit your blog’s URL, not website. Some blog directories, like Blogarama, will reject all non-blog submissions. * Keep in mind that the fields for meta descriptions, descriptions, keywords, and even blog names (like Blog Hints, that allows 25 characters max), all have character limitations. Many of these places want to put you through extra hoops as part of verifying that you are a real blogger before your ping counts for anything. Pinging also won’t get you listed in the blog directories. Those require actually going there and submitting. While pinging may have once been instant gratification, and in some places still is, spam blogs have made it so more places are expecting you to prove you’re real before you’re taken seriously. Some have required registration all along. So pull up a chair and get comfy, you have some registrations to do. The good news is that everything is free. Image by FindYourSearch, used under its Creative Commons license.